You can ride the bus, too! 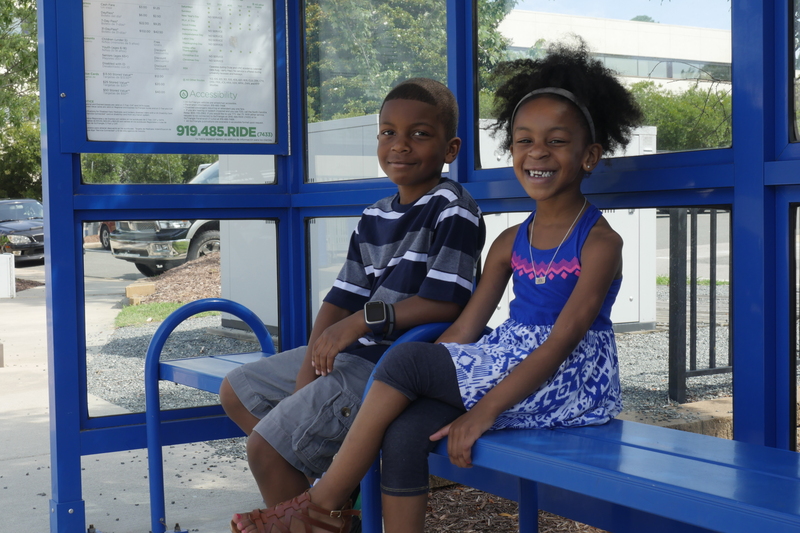 Young GoDurham riders, age 12 and under, ride free! (If you are taller than 5 ft., you must have a GoDurham ID to ride free.) Riders age 12 and up can ride for just 25 cents Monday through Friday until 8pm with proof of age. Please show a government-issued ID, middle or high school ID or a GoDurham-issued discount ID. Learn about the youth discount ID here. You can buy bus passes in person at Durham Station or on the bus with exact change. The bus can take you to the library, museums, parks, out to eat or wherever you want to explore! While you plan your next adventure, be sure to check out our coloring book and I Spy game! Do you know where you want to go? Ask your parents to use the TransLoc Rider app to see the bus arrive in real-time! Arriving at your bus stop. Make sure to look both ways before crossing the street and arrive 5 minutes early. Get the driver's attention! When you see your bus, wave at the driver to let him know you want to ride! Hop on board. Pay your fare with cash or a pre-paid pass. Let's ride! Stay seated while the bus is in motion and don't forget, no food or drinks! Pull the cord! Let the driver know you want to get off the bus at your destination. Check out our flip book! See you next time on the bus!